Although you know I’m not going to tell if that’s from the beginning of the book or the end. 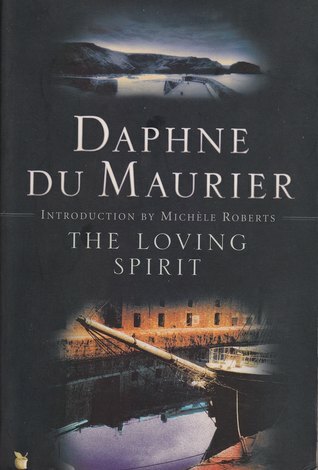 This first novel of Du Maurier’s tells the story of four generations of the Coombe family of Plyn, Cornwall beginning in the early 1800s as young bride Janet Coombe, happy as she is with her children and husband, always longs for the freedom of the sea. Her son Joseph follows his mother’s dreams and sets sail in the merchant ship built by the Coombe family and named after his mother – as is her image the figurehead at the prow of the ship. Joseph eventually marries, but his real love is always the sea and when he can no longer sail he takes his bitterness out on his family, which eventually leads to dire changes in their lives. I am not so sure I would rush out and read this, but it does sound worth checking out eventually. Thanks for posting about it! Hmm I did enjoy Hungry Hill so I guess I'll give this one a try eventually. Thanks for sharing your review! I'm only familiar with a few of her books and was even ignorant of which was the first one written. Thanks for sharing your review of how this was the beginning and her writing progressed as she went.